Get a healthy and radiant glow with Skinception Cold Pressed Cosmetic Argan Oil. This multi-purpose oil helps reduce signs of aging by increasing collagen and elastin production while strengthening skin’s barrier functions. Enriched with antioxidants, fatty acids and polyphenols, this beauty oil transforms dry and age skin to give you a younger-looking glow. Works with the skin to help give optimal natural results. If you are looking for a complete beauty solution, then Cosmetic Argan Oil could be what you are looking for. The benefits of this oil aren’t limited to the skin. It also helps to strengthen nails and nourishes dry and damaged hair. What is Cold Pressed Cosmetic Argan Oil? 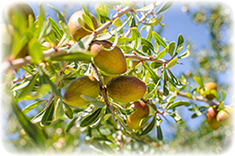 It is a daily moisturiser and skin conditioner, which is extracted from the fruit of the Argan tree in Morocco. The oil is also known as ‘Liquid Gold’ due to its properties amazing nutritional and cosmetic properties. 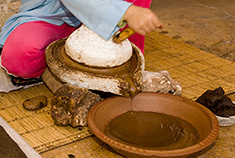 It has been over 3,500 years that women of Morocco are hand extracting this oil. Unlike other argan oils, which are diluted with preservatives, Skinception Cold Pressed Cosmetic Argan Oil is undiluted and extracted manually by the Berber women of Morocco. It is cold pressed at temperatures below 60 degrees C to maintain its quality for over 2 years. How to use Cold Pressed Cosmetic Argan Oil? 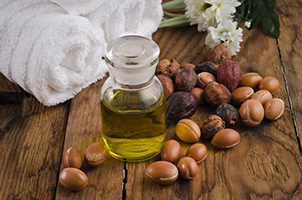 The best thing about Argan Oil is it is an easy to use skin care product that will in your daily routine. Use it as a moisturiser twice a day on your face to reduce wrinkles and fine lines. Don’t forget to cleanse your face before applying the oil. You can also use the oil as a body lotion after taking shower to keep your skin hydrated and protected all day long. Argan Oil also works great for damaged hair. Massage some oil into your hair starting at the ends and wrap them in a towel. Wait of 30 minutes, or let it sit overnight. Shampoo as usual and you are ready to go. If dandruff and dry scalp bothers you, massage the oil deeper into the roots and leave overnight. To tame frizzy hair, scrunch 2-3 drops into the ends. If you have brittle nails, then mix equal parts lemon juice and Cold Pressed Cosmetic Argan Oil. Soak your nails in the solution for 10 -15 minutes or paint the solution on your nails. 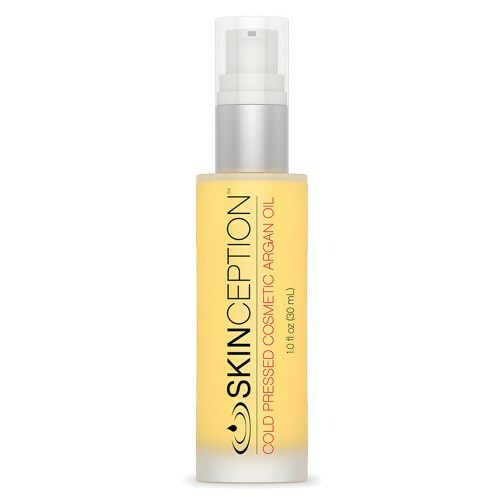 Why buy Skinception Cold Pressed Cosmetic Argan Oil? Skinception brings to you 100% pure, cold-pressed, organic Argan oil, with no additives and no preservative. Unlike other Argan Oils on the market, there are no industrial chemicals, carcinogens and reproductive toxins added. Our Cold Pressed Cosmetic Argan Oil is manually extracted by women who have perfected the technique from years of experience. Begin your journey to a glowing and healthy skin now buy placing your order for Skinception Cold Pressed Cosmetic Argan Oil with SkinCareTotal. Simply click ‘Add to Basket’ option and proceed to make payments. Remember, if you place your order before 4 pm on any working day, we will deliver your product at your door step the very next day.